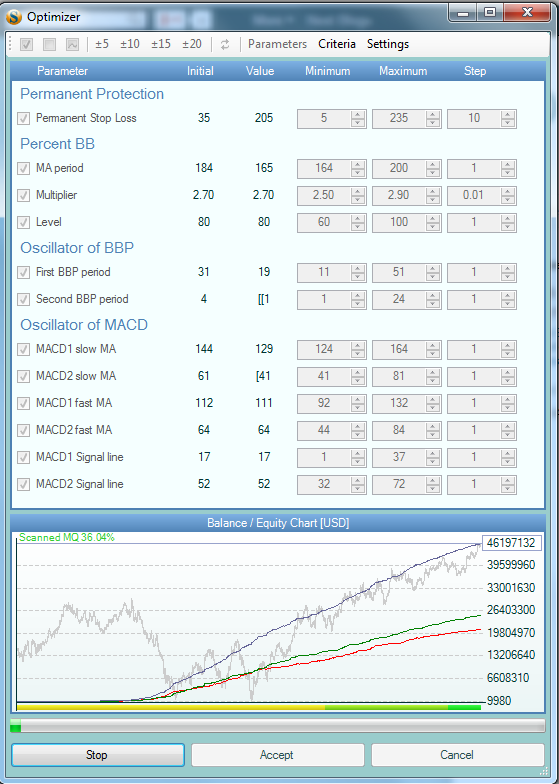 Forex Strategy Builder is an excellent program for developing strategies. This afternoon I set it to run while I went out for a while and when I got back to the screen there was a system with a huge account growth. 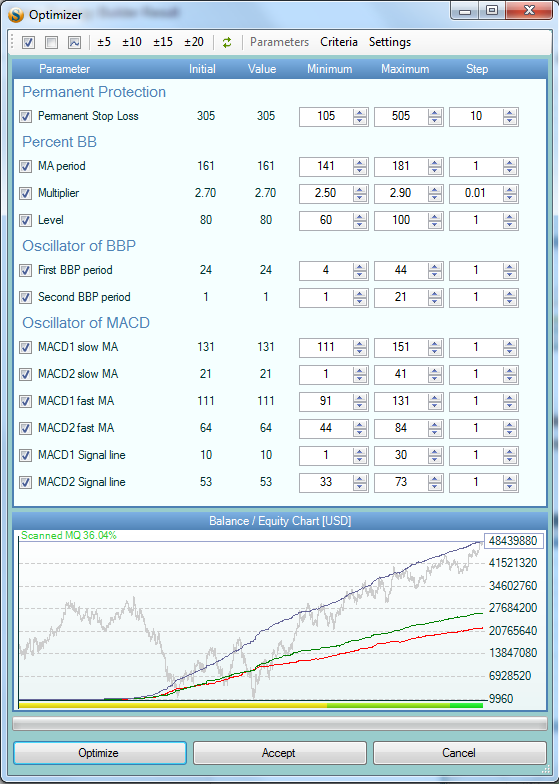 I have not had a chance to test this strategy as the markets are closed for the weekend, for sure I will have it running on a demo on Sunday evening when the Asian markets open. I just wanted to pass this result along, perhaps you want to download Forex Strategy Builder and develop some strategies of your own. The results I posted above are just what came from the 'Generator', for interest's sake I am going to use the 'Optimizer' to see if results can be enhanced. 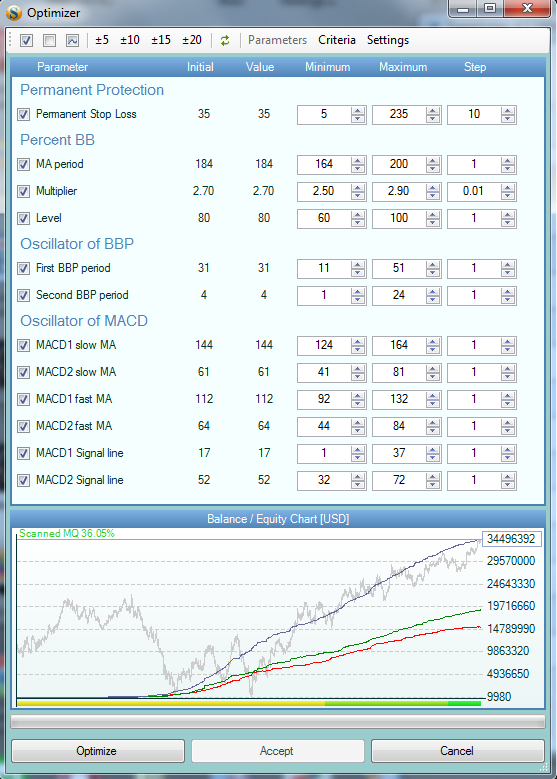 Below is a picture of the optimizer before I start. This could be an interesting optimization. Below is the result of the first optimization and you can see that the end result is a significant increase in the profits. I will do a further optimization and see what that may yield. Here is the final optimization, I don't think there will be much more to gain without serious curve-fitting. You can see a 25 percent gain between the first and last. 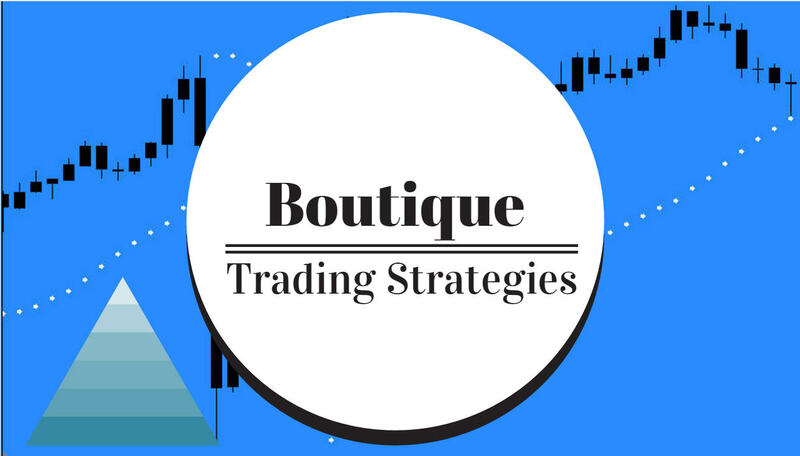 This demonstrates the power of the software, and, as you can see, this tool will allow you to create some excellent trading strategies.